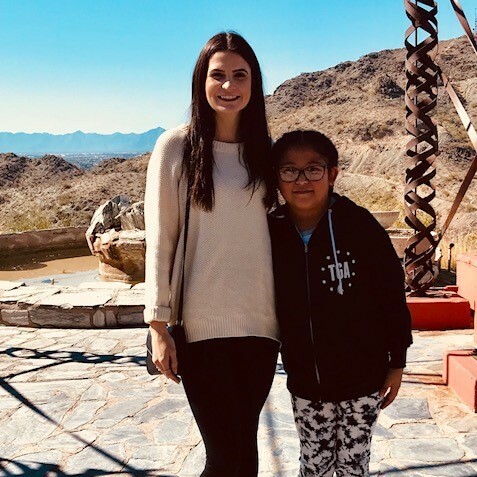 Big Sister and BBBSAZ Events Manager Taylor has been matched to her Little Sister Beyoncé since October 15, 2017. Taylor and Beyonce are a Site-based Plus match meaning that began at a school and now meet both in and out of school. Beyoncé and Taylor love to be active outdoors. During visits to the school, they play soccer and tag together. One of their first match outings outside of school was attending the Top of The Rock cooking class together. They created a full meal from scratch with the help of the Head Chef. “I remember Beyoncé saying she has never cooked anything like that and was going to share her new skills with her family. I love being able to watch her grow and we love to experience activities for the first time together. Her enthusiasm towards life helps me remember to not sweat the small stuff” said Taylor. Taylor and Beyoncé recently created a bucket list of activities they would like to do together. 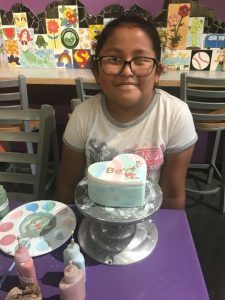 Activities include filling food boxes at Saint Mary’s Food Bank, the Phoenix Zoo, hiking numerous trails, and completing many different arts and crafts projects. 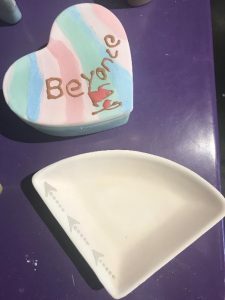 Recently Beyoncé’s family learned that her father is ill. Beyoncé’s mother and Taylor believe match outings help keep Beyonce’s spirits high during this difficult time. With such a close bond, Beyonce can confide in Taylor as they continue to check things off of their list and ultimately grow stronger, together. Change a child’s life and become a mentor today!